Whoever coined the saying “use your head for than a hat rack” hasn’t met the ladies of Burlington, North Carolina; the setting of the smash hit Crowns. 4-star got up and out, hatless unfortunately, to see this raved reviewed production. And frankly, we tip our hats off to the cast. 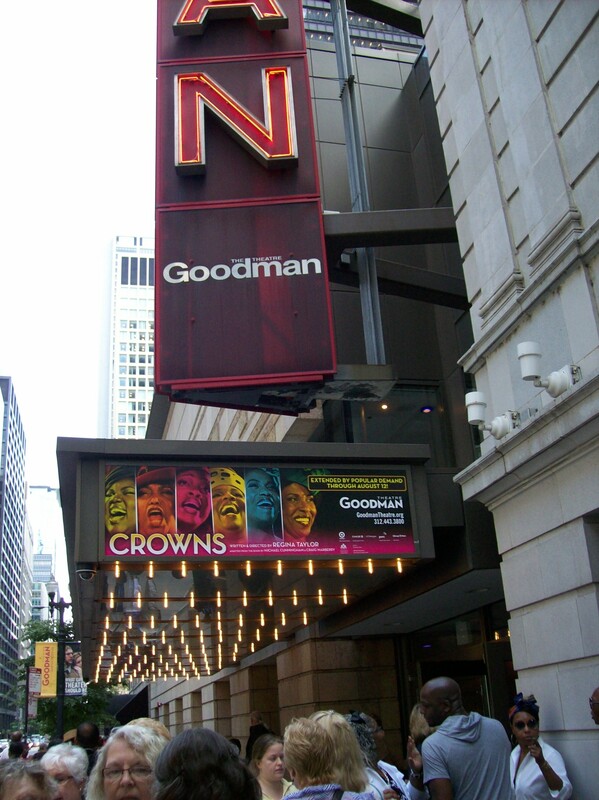 Crowns, written by playwright Regina Taylor,was originally produced in 2002, first brought to the Goodman Theatre in 2004, and for its 10 year anniversary has been reworked for its second Goodman release this summer in 2012. The story follows Yolanda, played by fellow Illinois State University alum Marketta Wilder, as she must leave the familiar yet dangerous streets of Englewood, Chicago. After being shipped off “down south” to stay with her grandmother Mother Shaw, Felicia Fields, she must reluctantly become apart of this new rural backdrop and all its customs. Along with Mother Shaw, four ladies of the community’s social hierarchy work to change Yolanda’s stubborn and flamboyant ways by sharing analogous monologues of past memories, hurts, and lessons learned. These experiences all revolving around the wearing of different ceremonial hats, unite the ladies in a common societal understanding. 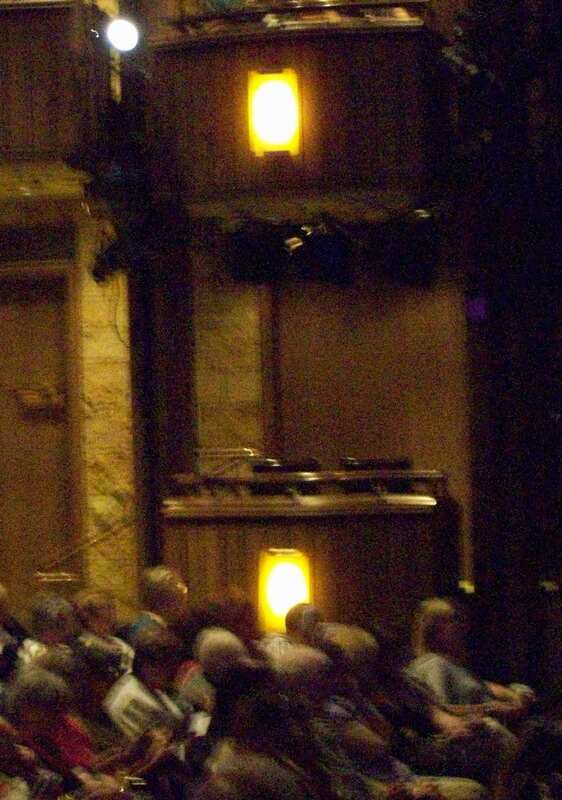 An example of the raised box seats on the main floor that I sat in. Once the theater goes black the ears are assaulted by the rhythmic drumming from the orchestra pit. A man and woman dressed in African garb make their way to the stage. They stand quietly off to the side and the spotlight turns off. And as a first to my eyes from any other play I’ve attended the backstage disappears as the walls of the set literally close in around Wilder as Yolanda dancing rhythmically to a unrelenting hip-hop beat. As the space around Yolanda grows smaller, the backdrop is filled with urban cityscapes, an echoing of metropolitan sounds such as trains and buses, and the words “I was born in Englewood” are etched lovely in script writing. Through out the play you see that Yolanda struggles between the love she comes to have for these guardian angels and the reluctance she has for assimilating into any custom deemed as normal. 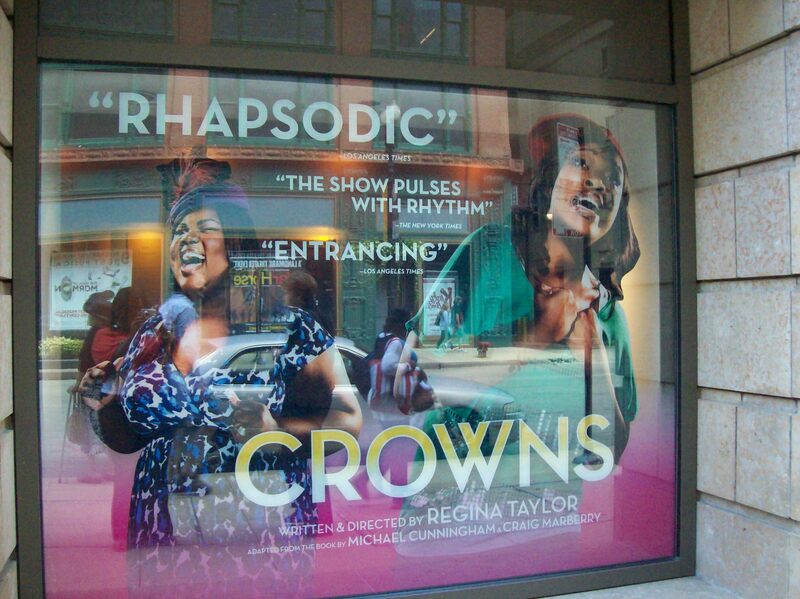 I also appreciated the strong African influences that are fuzed into this play. The Ensemble members, regardless of the different roles they must invoke, are always wearing Afro-inspired clothing. The audience is always showed the comparison between old African customs and common practices displayed in modern black churches such as shouting, group chantings, and donning ornamental costumes. There is also a fusion in the music. Please, please, PLEASE, do not let the “Gospel” aspect of this play lead you astray just about every form of music is covered in this play from 50s doo wop to spoken word to popular gospel hymns to jazz and old timey music of the 1900s and always strumming back to the hip-hop beats, specifically Lauryn Hill’s Everything is Everything plays a big part. 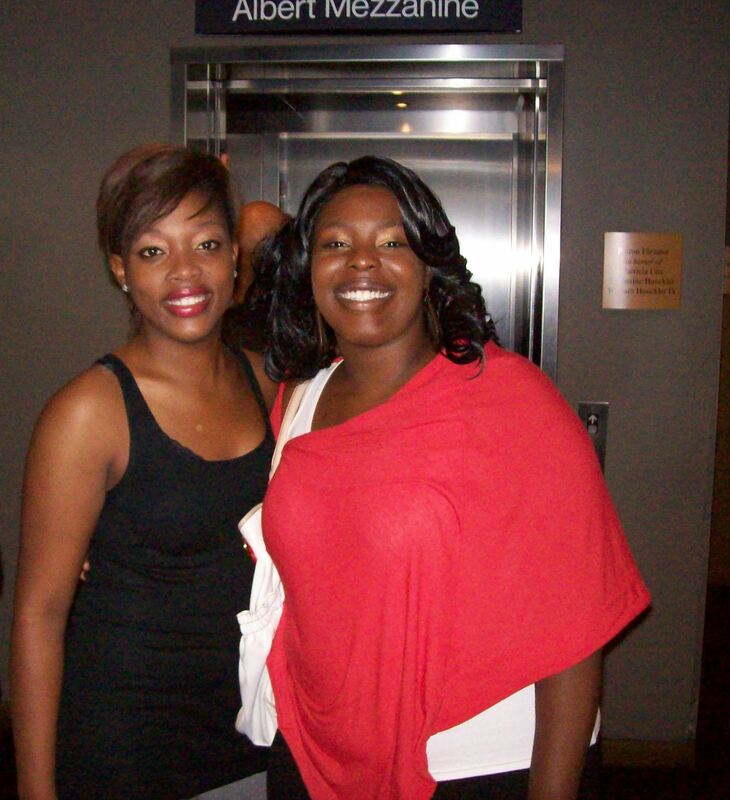 A quick shot of Marketta Wilder, the leading lady Yolanda and our editor Vonnie. 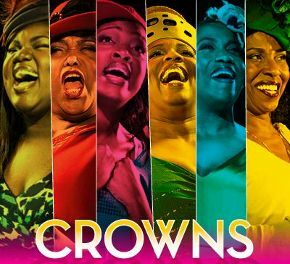 For me the standout players in this crowd pleasing hit were Marketta Wilder and Felicia Fields as Yolanda and Mother Shaw. Their relationship was so organic and emotional that I really got the sense that they were grandmother and granddaughter. They were also captivating on their own as well. Wilder gives a powerful performance with an overall commanding presence in every scene she is in. This girl can’t go unnoticed. And Mother Shaw tugs on the deep nostalgic longing in all of us of providing the “Big Mama” role that is so desperately needed in today’s society. For extra parking convenience I suggest you use the online parking spot holder ParkingWhiz.com to reserve the best spot also for the cheapest price. It takes a lot of fuss out of the already hectic downtown parking experience.